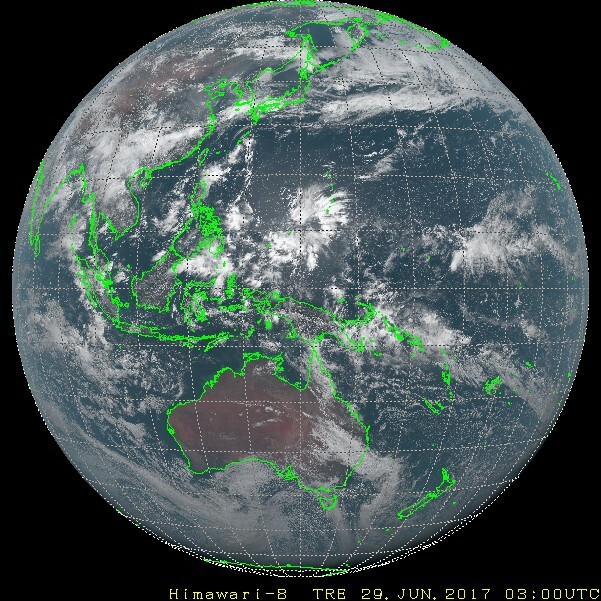 I am trying to re-project a full disk satellite image (see below) downloaded from JMA to Mercator projection. My understanding is that the image does not show the entire hemisphere (unless the satellite is located at an infinite distance from the earth). I would like to ask if any function in Mathematica could help to do such re-projection. I have searched a while but it seems the work is not obvious. Browse other questions tagged image geographics projection or ask your own question.